Dalton is a leading cGMP contract service provider of integrated chemistry, drug development and manufacturing services to the pharmaceutical and biotechnology industries. We are experts in medicinal chemistry, process development and reaction optimization through to cGMP API production and sterile fill-finish services. Dalton brings more than 30 years of experience to every customer project and we emphasize quality, speed and flexibility. 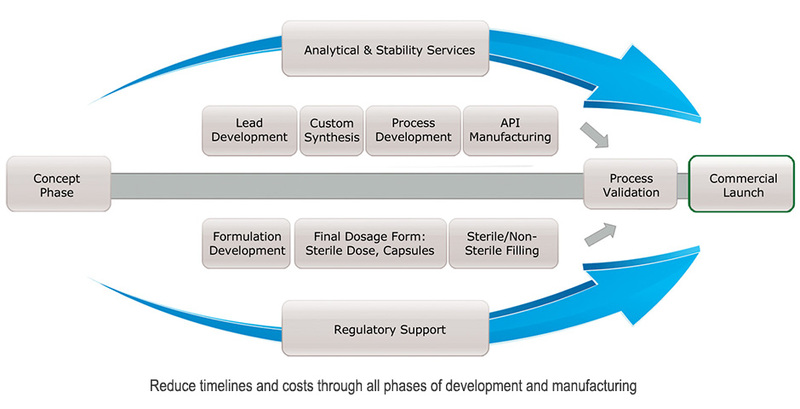 We can accelerate your Drug Discovery and Development Program by integrating process development, API manufacturing and finish dose manufacturing all at a single location.